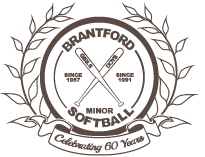 The Brantford Minor Softball Association (BMSA) was founded in 1957 as a girl’s only softball association; however, in 1991 the BMSA boys divisions came into existence. Our goal is to promote teamwork and fair play, as well as to give the children of the community a chance to go out, have fun and make new friends. The BMSA is totally non-profit, all the money paid by parents for registration goes towards parks, uniforms, awards and other things which are of value to the children. The entire organization is run by volunteers who give a great deal of their time to helping the association succeed. If you would like to know how to help out, please drop us a line. We are Proud that all of our Team Canada members give back by teaching our new players the skills and the love of our Sport. It goes to show the respect that they have for our sport and the fun they enjoyed over the years.